This book is so exciting for me because I love The Magic School Bus! 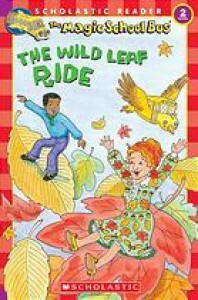 In this particular book, the class goes on a field trip unlike any other to find a specific leaf to add to their leaf collection. This would be a wonderful book to do an inclusion lesson for science and reading. This would be perfect to use to help teach about the seasons and to help teach about leaves and plants. This would be great for kindergarten through about second grade.